Classic Nicoise Salad or Salade Niçoise is originally from the south of France. 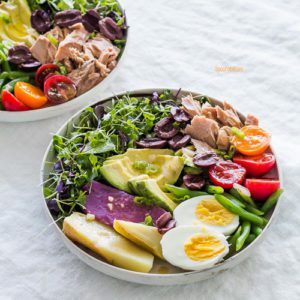 This bright and delicious salad is made with fresh Micro Rainbow Mix microgreens, potatoes, green beans, cherry tomatoes, olives, hard-boiled eggs and tuna. For a hint of spiciness, drizzled over the top is a with a vinaigrette made with Mild Cayenne Dijon Mustard from Brown Dog Fancy Condiments. 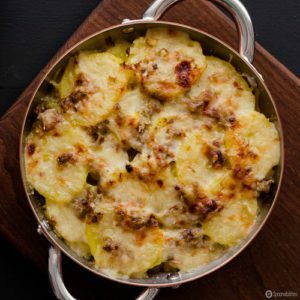 Leek and Potato Gratin is a rich and satisfying side dish that will complement your table during the holidays or any special dinner anytime of the year. This delicious recipe has thinly sliced potatoes and sautéed leeks baked with milk, gruyere cheese, parmesan cheese, and organic honey dijon mustard until perfection. Broil for a cheesy and golden crust on top. 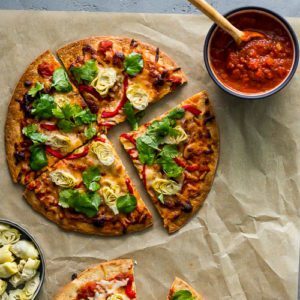 This healthy and easy vegetarian pizza recipe is made with store-bought Cauliflower Pizza Crust, pizza sauce, mozzarella, baby artichokes & roasted red pepper. Garnished with watercress and cilantro leaves and dressed in a light lemony vinaigrette for a fresh, herby taste. 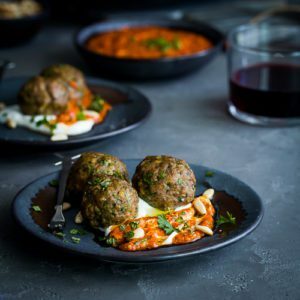 Spiced lamb meatballs are easy to make and packed with Mediterranean flavors of spices and herbs like fresh mint, parsley, cilantro, cumin, turmeric, paprika, oregano, onion & garlic. This lamb meatball recipe is perfect as an appetizer or as a main dish. 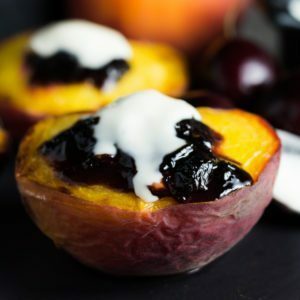 Serve on a bed of Greek yogurt and a Piquillo pepper pesto. 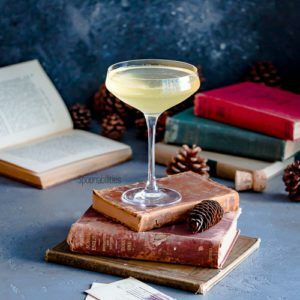 Gin and Prosecco Cocktail with Chamomile & Tangerine is a delightful, bubbly, floral champagne cocktail that will change your mind about sparkling wine cocktails. Don’t be afraid, but it has white balsamic vinegar. You will be surprised how wonderful it tastes. Find out the difference between champagne, prosecco and sparkling wine too. 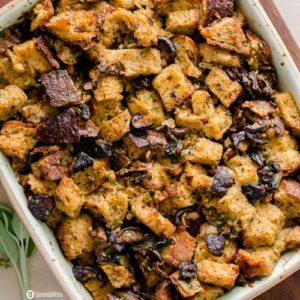 Shiitake Cremini White Mushroom Stuffing will be your new favorite side dish for Thanksgiving dinner and your upcoming holiday gatherings. With a meaty taste from the three different mushrooms, this stuffing recipe is flavorful with fresh herbs and veggies. Learn how sourdough is one of the healthiest breads, how to clean and store mushrooms, and the nutritional benefits of mushrooms. Roasted Red Pepper Pasta with Sicilian Olives is the perfect recipe for a quick & “easy 1-2-3” meal for any weeknight. 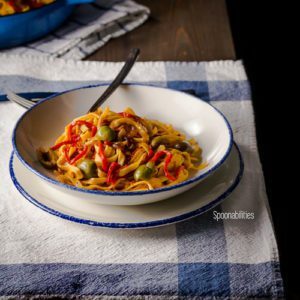 For this pasta dish, we used Egg Tagliatelle Homestyle Pasta, sweet roasted red peppers, garlic, and meaty, buttery Castelvetrano Sicilian olives. Time to heat up your grill for this healthy recipe of grilled summer vegetables. 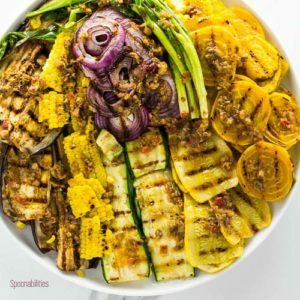 The dressing for these grilled vegetables is packed with Mediterranean flavor from the Kalamata Olive & Oregano Spread used in the vinaigrette. HOW TO: learn how long to perfectly cook vegetables on the grill, what are some great grilling vegetables, and find out about my favorite indoor grills. Jalapeño Raspberry Vinaigrette Dressing is great for any salad, but this particular salad was a perfect match for this vinaigrette. 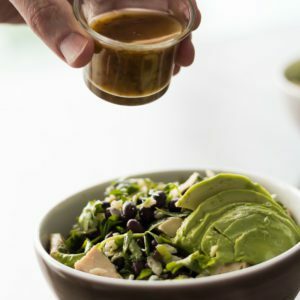 Use this vinaigrette recipe for a Mixed Green Salad with Chicken, Avocado, Black Beans, Cilantro, Green onions & Manchego Cheese. In 5 minutes you can have lunch or dinner.